Blowout Sale! Save 65% on the Data Structures and Algorithms in Java (2nd Edition) by Sams Publishing at Translate This Website. MPN: 978-0-6723-2453-6. Hurry! Limited time offer. Offer valid only while supplies last. Data Structures and Algorithms in Java, Second Edition is designed to be easy to read and understand although the topic itself is complicated. 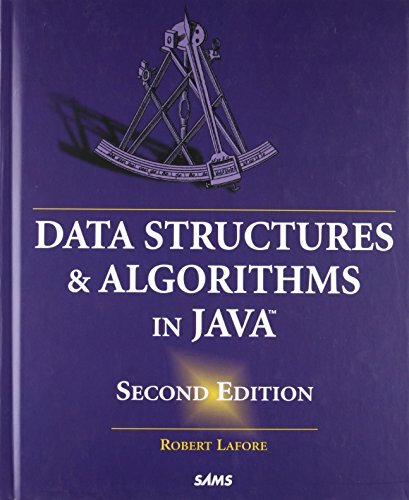 Data Structures and Algorithms in Java, Second Edition is designed to be easy to read and understand although the topic itself is complicated. Algorithms are the procedures that software programs use to manipulate data structures. Besides clear and simple example programs, the author includes a workshop as a small demonstration program executable on a Web browser. The programs demonstrate in graphical form what data structures look like and how they operate. In the second edition, the program is rewritten to improve operation and clarify the algorithms, the example programs are revised to work with the latest version of the Java JDK, and questions and exercises will be added at the end of each chapter making the book even more useful. Suggested solutions to the programming projects found at the end of each chapter are made available to instructors at recognized educational institutions. This educational supplement can be found at www.prenhall.com, in the Instructor Resource Center. If you have any questions about this product by Sams Publishing, contact us by completing and submitting the form below. If you are looking for a specif part number, please include it with your message.